Another fansubbing group had a Christmas present to fans! 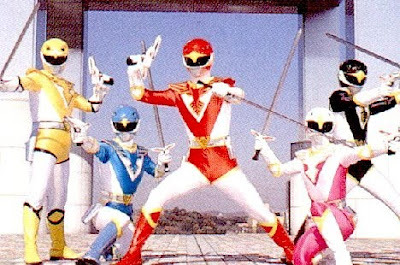 Grown Ups in Spandex and TokuRiders had joined forces to give us English and Spanish subs of one of the best Super Sentai series ever made, Choujin Sentai Jetman! Earth Ship is the command center of an international defense agency called Skyforce which had been making peace prevail in Earth. In this Earth Ship, the experimentation on "Birdonic Waves", a newly developed technology which gives the subject superhuman abilities was advancing successfully. Download Choujin Sentai Jetman at Grown Ups In Spandex & TokuRiders Fansubs!